Adnan Al-Husseini also serves as a PLO Executive Committee member. Rector of Al-Istiqlal University in Jericho (The Palestinian Academy for Security Sciences) Saleh Abu Osba: "I always say that life without dreams is empty. As I see it, we the Palestinians have a great dream before us: To liberate Palestine from the [Jordan] River to the [Mediterranean] Sea. 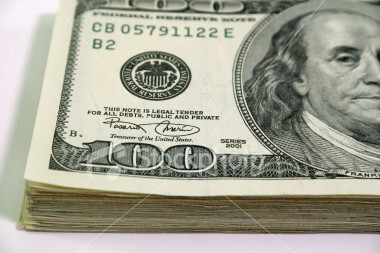 This dream will remain before us and requires of us willpower. Our people’s willpower is strong. The proof of this is the thousands of prisoners and the thousands of Martyrs who have fallen to realize the dream of liberating Palestine." “Every Palestinian that lives in Lebanon asserts when he talks about the right to return to his country that this is a right that is not subject to the decision of the occupation state or of its supporters, rather it is subject to basic diplomatic, humanitarian, and national principles that do not include conceding this sacred right, as they read and learned from the wills of their fathers and the Martyrs (Shahids). Many of those from the generation of the Nakba (i.e., “the catastrophe,” Palestinian term for the establishment of the State of Israel) have already died and did not succeed in realizing their dreams and hopes to return to the cities and villages of Palestine; but they sowed the hope, will power and courage in the heads and hearts of their grandchildren and children so that they would continue the path of struggle until they see Palestine with their own eyes, live within it, and are rid of the title ‘refugee.’"
"I wish to emphasize as a Palestinian and as a refugee – there is no Palestinian, Arab, or foreigner who will agree to be called a 'refugee,' and this includes a 'political refugee.' This is because every person wishes to live in the place where his forefathers were born, and where he grew up and spent his childhood in its spaces… And whoever thinks that anybody wishes to bear the name 'refugee' – unless the person himself wished to emigrate and move away from his homeland for the purpose of studies, livelihood, or even love – is naive… Everyone who was born to a Palestinian father is a refugee; he is necessarily a refugee, whether [US Representative] Doug Lamborn or [US President] Donald Trump wishes it or not." Fatah Secretary in Tubas Mahmoud Sawafta: "For many long years, all of the projects that the enemies have attempted to impose on us and that the occupation has attempted to impose on us - and the largest of these projects was the Civil Administration – all of these projects have failed... Indeed this people is great and this blessed land that has a great people in it - all of the occupations that have attempted to impose their hegemony on this land have been defeated in this region as a result of this people’s determination. The Mongols, Tatars, Timur Lang, Crusaders, and English were defeated here... And we say today too that the deal of the century (referring to US President Trump's as yet unpublished peace plan for the Middle East –Ed. ), which the American delegation has brought to the region in an attempt to impose it, will not pass." 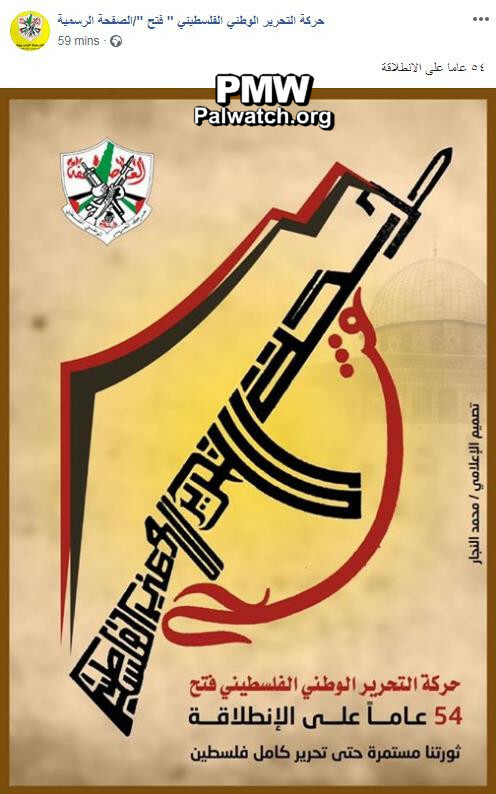 Supreme Shari’ah Judge, Mahmoud Abbas’ advisor on Religious and Islamic Affairs, and Chairman of the Supreme Council for Shari'ah Justice Mahmoud Al-Habbash: “O Palestinian people, you will rejoice with the greatest joy, by the power of Allah, Master of the Universe. We will rejoice in Jerusalem, in our Al-Aqsa Mosque that is liberated, Allah willing; we will rejoice in our state that will be established on all of our land; we will rejoice in the return of the refugees to their homes; we will rejoice when the blood of the Martyrs (Shahids) we remember today bears fruit - and we will say to them: Your blood was not spilled in vain. We will rejoice in the suffering of the prisoners, in the result of the suffering of the prisoners, who suffered so we would rejoice. These are the great ones, to whom we send blessings today; they are worthy of blessings for their manliness, for their stability, for their victory, them and their people, over the jailor…"
"The Fatah branch in Syria held a procession of rage today, Tuesday [May 15, 2018], in the Khan Danun refugee camp in [the Syrian governorate of] Rif Dimashq, as a sign of solidarity with our people in the homeland. Al-Badawi directed a message to [US President Donald] Trump and Israel that our cause will continue to be alive and kicking regardless of how much time passes, that Palestine belongs solely to the Palestinians, and that there is no alternative capital except for Jerusalem, and it does not matter how many embassies are transferred [to Jerusalem] and how many deals are signed... Abd Al-Hadi condemned the transfer of the American settlement (i.e., the US embassy) to Jerusalem, and emphasized that the people of Palestine will only be satisfied after the liberation of all of the Palestinian land and the establishment of its independent Palestinian state whose capital is Jerusalem." Visual: An image of the Al-Aqsa Mosque is shown. 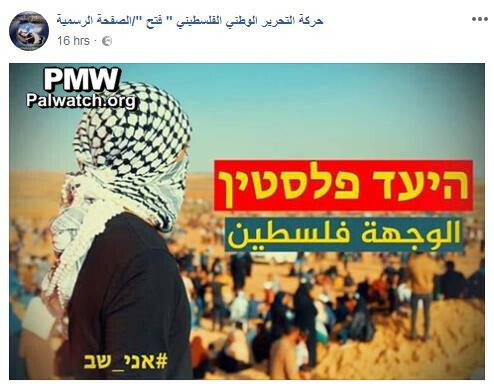 Fatah FB: The destination is "Palestine", to which Palestinians will "return"
The image shows a person masked in a keffiyeh (Arab headdress) looking at a group of people. 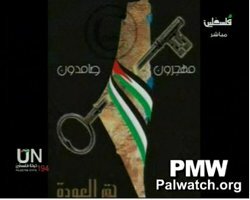 Text in Hebrew and Arabic at right center: "The destination is Palestine"
Text in Hebrew at bottom left:"#I_am_returning"
Text on drawing: "The 70th anniversary of the Nakba. From generation to generation, there is no alternative to the return and Jerusalem." Song performed by Fairuz: "We shall return though time passes by and distances grow between us." Text on screen: "From generation to generation, there is no alternative to the return and Jerusalem." PA TV narrator: "Our return is certain, and Jerusalem is the eternal capital of our state." Headline: "70 years after exodus, Palestinians dream of return"
"Thaer Sharkawi, 31, has never visited the place he calls home. The Palestinian was born and raised in the Amari refugee camp in the occupied West Bank, but for him his house is 50 kilometres (30 miles) away in the town of Kafr Ana inside what is now Israel. Kafr Ana hasn't actually existed for decades -- demolished in the weeks after Sharkawi's grandfather fled in 1948 -- yet he knows there was a boys' and girls' school and can vividly picture the orange groves his great-grandfather tended. ‘I haven't been there but I have heard about it,’ he told AFP. ‘I studied about it and read about it on the internet.’"
Official PA TV program "Inside"
Political analyst Hani Abu Zaid: "Israel is a sort of heretic gang, and it will end. I want to say these things to every bereaved mother, every mother of a wounded person, every mother that lost her son, and every woman that lost her husband: By Allah, Israel is temporary."